Few Americans will ever see their President in person, let alone stand in the immediate presence of their nation’s chief executive. Scouting, however, may be one of the few institutions that shortens this distance. If you attended the National Jamboree, you might’ve had the rare experience of being a spectator for a presidential address. When I attended the Jambo in 1997, President Clinton addressed the scouting crowd during the Opening Ceremony, and it was the only time in my life when I’ve seen a living president. 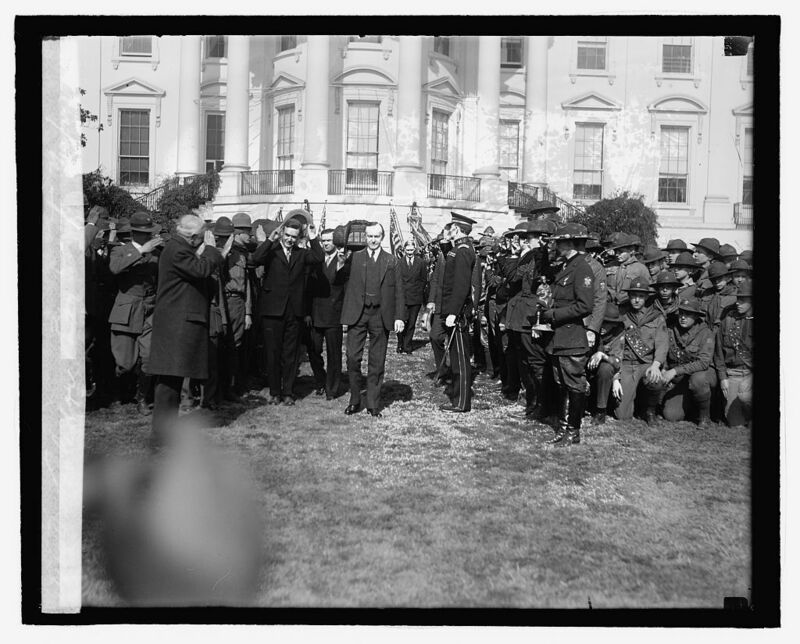 The photographs featured here show President Calvin Coolidge on the White House lawn in the company of many scouts attending the sixteenth annual meeting of the National Council in 1926. 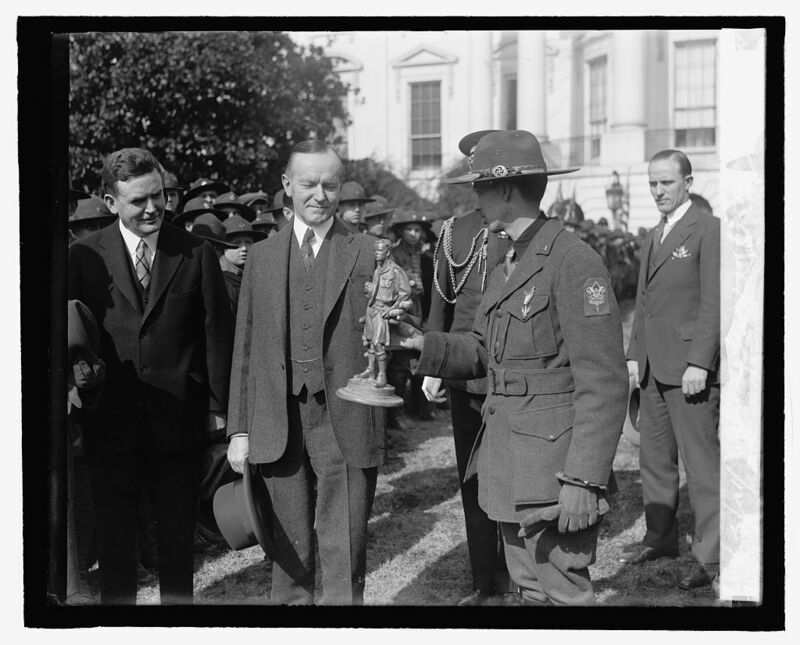 Both of the President’s sons were scouts, and Coolidge himself was a strong admirer and supporter of the Scouting Movement throughout his presidency of seven years, from 1923 until 1929. 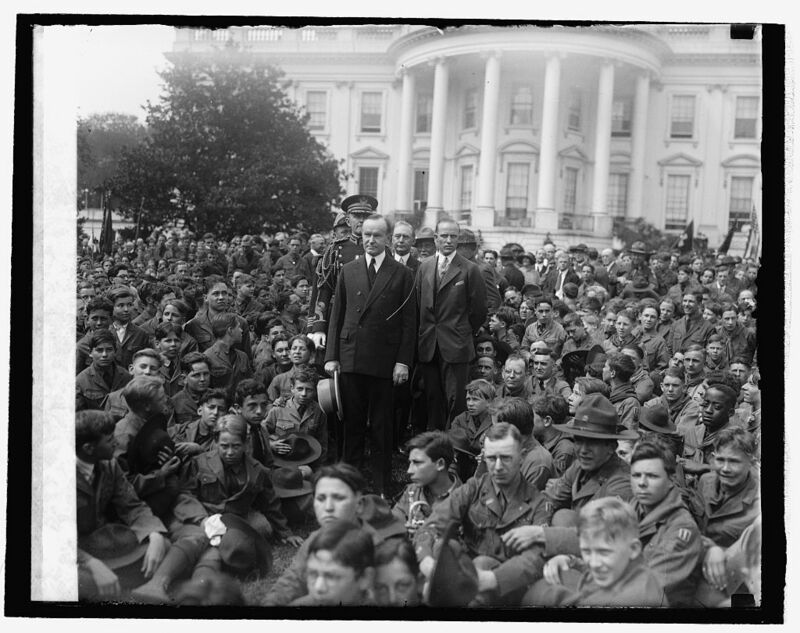 Admittedly, I know very little about Coolidge’s term as president, but I do know that his tenure coincided with both the Scouting Movement’s second decade and also a transformative period of American Literature. The Great Gatsby and Manhattan Transfer were both published in 1925 by the novelists F. Scott Fitzgerald and Jon Dos Passos, respectively. 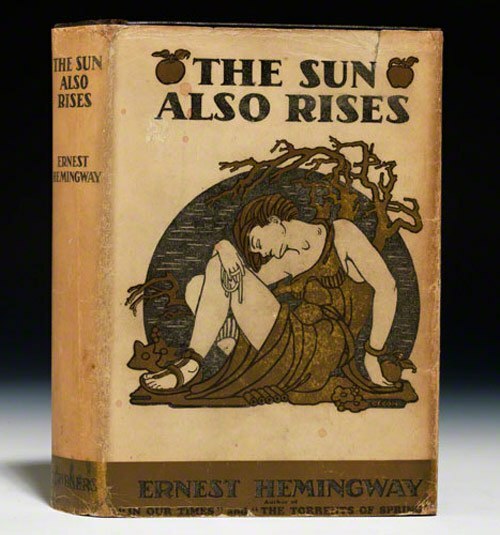 Ernest Hemingway’s The Sun Also Rises appeared in print one year later. The poets T.S. Eliot, Ezra Pound, and William Carlos Williams would influence American verse for decades. 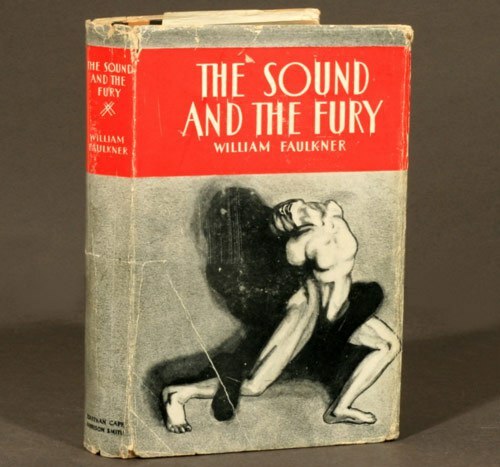 At the end of the Coolidge era in 1929, William Faulkner chronicled the decline of the Compson family in The Sound and Fury. Eliot, Faulkner, and Hemingway would all receive the Nobel Prize for Literature later in their careers. As for Coolidge, he’s a president most people may forget, but he might best be remembered as the president of literary modernism. The Boy Scouts and the Modernists make an odd couple—ingenuous do-gooders and literary iconoclasts. Still, both the scouts and the Modernists confronted and responded to a bewildering era of technological, economic, and social change by recovering the essential traditions of their national or literary heritage. Ezra Pound returned to the lyrics of ancient Greek poets to make his own poetry new again, while the Boy Scouts, seeking models for self-reliance, fraternity, and independence, found these qualities in the Founding Fathers and their pioneer ancestors. For a poet like Eliot or a novelist like Faulkner modernity was less a measure of difference between the contemporary and the past but rather a perception of the presence of the past in their own time. 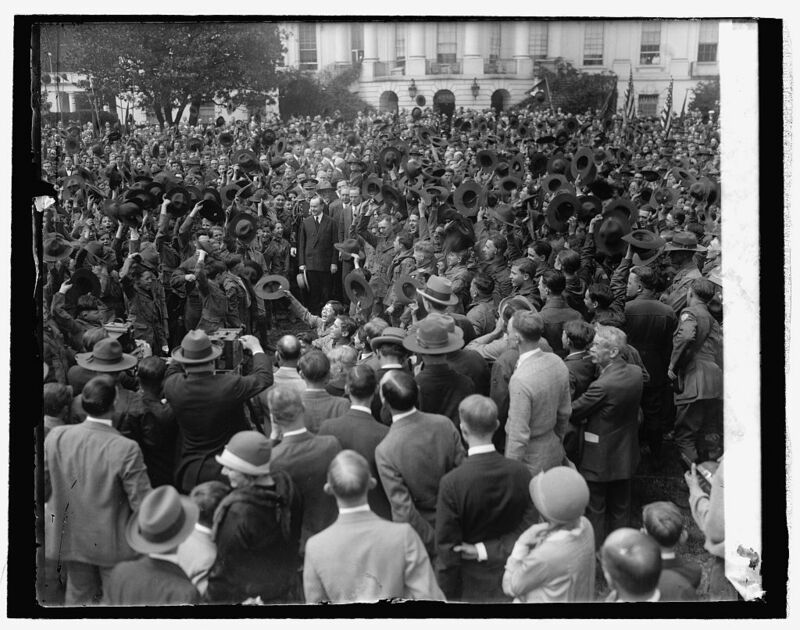 Like literature, a presidential address, whether it’s at the White House in 1926 or the Jambo in 1997, becomes a necessary ritual that links contemporary scouts not only to their predecessors but also the future participants in a tradition that will persist beyond their own day.